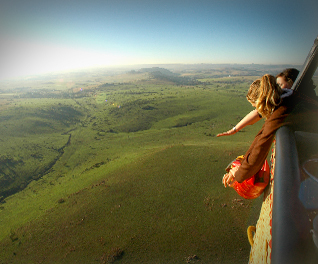 Experience exceptional hot air balloon rides from the finest venues in South Africa. Chosen for their exquisite scenery, fine ballooning weather, accommodation options, tourism and interest value. They include the majestic splendour of the Maluti mountain range in Clarens, the Golden sands of the Kalahari, Gauteng's Cradle of Humankind, the Vaal river and Vredefort Dome meteorite impact site of Parys, the rolling hills of the Natal Midlands, Champagne Valley in the Majestic Drakensberg Mountains, the beautiful Tala Valley just 45 minutes from Durban, the Panorama of Sabie and Graaff Reinet's valley of desolation. Experience the Finest Ballooning that South Africa has to offer with loads of colour fun and in the company of highly experienced crew. We have been flying these venues safely for more than 14 years. 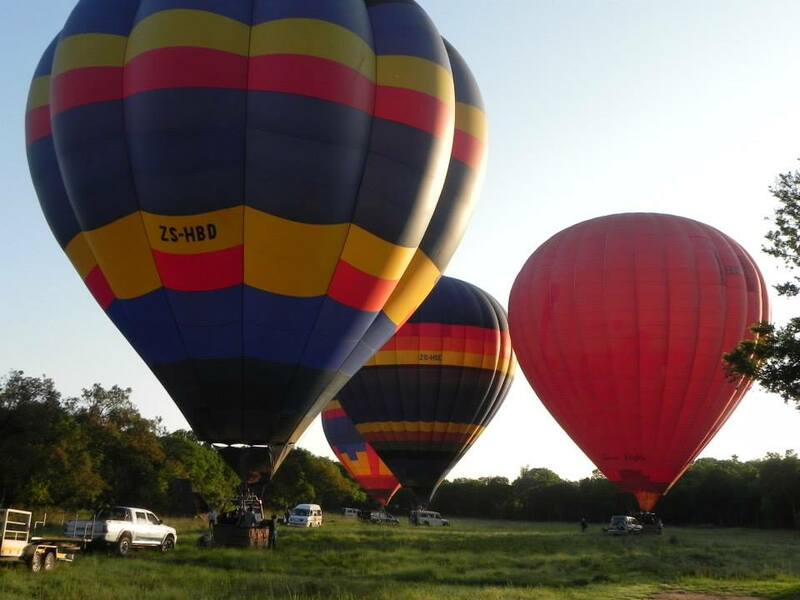 Our balloons, professional experience and hospitality will assure you of an exceptional experience. We provide Hot Air Ballooning for just your occasion. One that will set you apart. Hot Air Ballooning is a gentle experience that is suitable for all. From age 5 to our eldest passenger of 97 years this is an experience for everyone. It is an outdoor activity that is weather dependent. South Africa's calm early mornings have previously allowed us to fly with a high success rate. We fly 7 days a week and all year round. And if you would like to find out more about our hot air ballooning experience, drop us and email or give us a call! Please enquire for our latest offers through our Contact Us page. The 2018 Creighton Aloe Steam Train & Hot Air Balloon Festival was a great success - much fun was had by all. Check out our Facebook page for photos! To book a flight, send us an email by filling out the form on our contact us page. Alternatively, you can send an email to info@hotairballooningsa.co.za. We offer special rates for larger groups. We also offer seasonal specials. Please enquire for our latest specials.